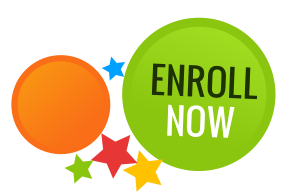 Appletree Montessori offers a complete range of educational program perfectly suited for children aged 2 to 6 years old. 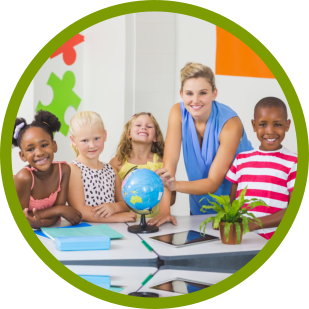 With our highly-qualified teachers and standard Montessori materials, we are able to provide, individualized learning that focuses on all aspects of child growth and development. 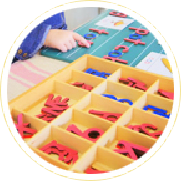 Appletree Montessori educational program is suited for children from 2 to 6 years of age. We are a fully licensed child care center licensed by the State of California. The Summer program at Appletree Montessori is 8 weeks of fun and learning for students who have a wide range of interest. Contact school office for more details. Available for parents and children in need. We also have enrichment programs such as Soccer, Music and Movements and Dance through experienced outside instructors charging additional fees. 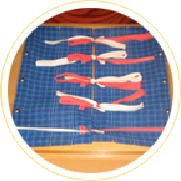 AppleTree Montessori consists of two primary classrooms. 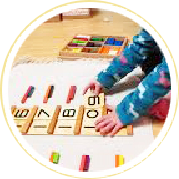 Each class offers a full Montessori Curriculum with standard Montessori materials consistent with the Montessori philosophy. 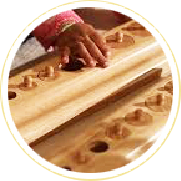 Here, the children learn through hands-on experience and creative exploration. An education at AppleTree Montessori prepares your child for future academic pursuits and ensures that he/she takes full advantage of this optimum learning period.